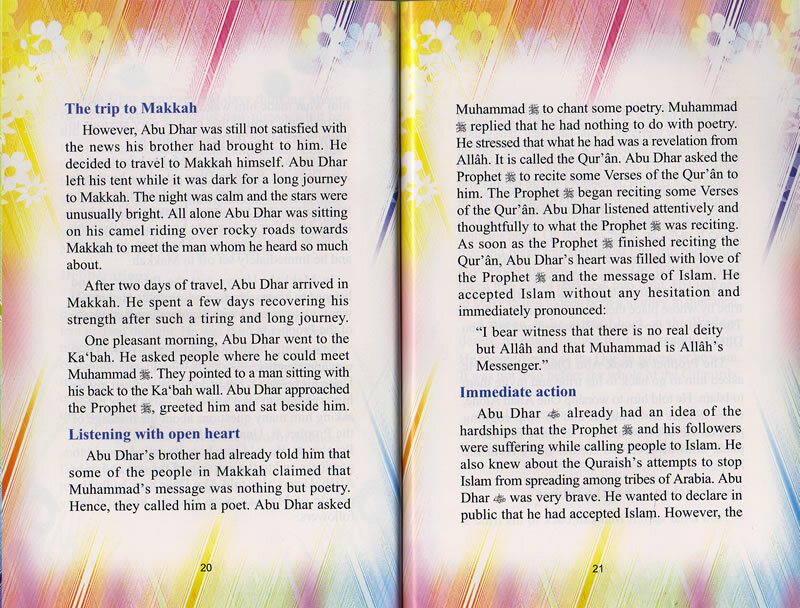 Abu Dhar Al-Gifari was one of the most valuable companions of the Prophet Muhammad. He was known for his courage and zeal for serving Islam. This book covers the story of his life, how he embraced Islam and participated enthusiastically in the rise of Islam and establishing its glory against all odds. His services to Islam and relentless devotion is worth learning from. This book helps us realise our duty as Muslims and makes our Faith in Allah and his blessings stronger.